Looks like I get to race a little treat this event at Renegade Miata… Kaizen Tuning's GT-R 35! If you remember from my post a year ago, I got to race this monster for the first time on some dead R6 Hoosiers that corded by the end of the event. With some more experience and confidence under my belt, and some fresh 295 sized A6 Hoosiers this time, I was ready to see how well I could try and tame this beast again… and have a hell of a time! The course was a standard "fast-tech" course, which means it had elements that forced you to really look ahead and be setup a few turns early so you can exit out fast. Patience was definitely a key with this car, as pressing the throttle slightly would make the car suddenly become a rocket. It was interesting to really look at course lines differently for this event, as it reminded me that sometimes the obvious line is not always the fastest. Some area's that I would be wide open throttle (WOT) in the RX-8 were the areas I had to stay patient, as the car wanted to push when it got up to speed, so it was a bit of a learning curve at first. I managed to get down to a 1'12.9 clean as my fastest time of the day, but there was more time left out on the table, as some of the other fast drivers were down in the low 1'12's and high 1'11's. The rest of the results are located on Renegade Miata's website. Either way, I'm proud with myself at how I handled the GT-R. As a driver, I always welcome the opportunity to race other cars. It is always a great challenge to try and be as fast as possible in a car you don't always race. It's all about finding it's limits, feeling out it's quirks and typical behavior, and seeing how fast you can become in-tune with the car and capitalizing on that. 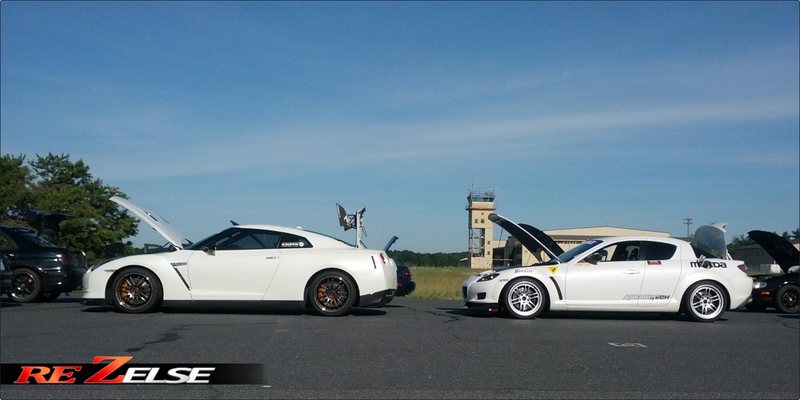 Big thanks to Scott for coming out to the event in the GT-R and allowing me to race with him. Below is my fastest run for the day, with the rest of the videos on my YouTube channel. Stay tuned!